The university supports students' well-being, and this page provides important information about health and wellness from University Health Service. University Health Service (UHS) can provide most of your health care while you are at the university. Students pay a health service fee (included as part of tuition) that covers many services. For who and what is covered, see Free or Fees for Students. Immunizations are recommended to protect your health and the health of others, but they are not required by the university. We encourage you to come to college fully immunized. See recommendations at Immunization Records and in particlar, note that meningitis is a serious and potentially fatal illness that immunization can help prevent. All students should have health insurance because you may need services, such as medications and treatment for serious illness, that are not covered by the health service fee, or are unavailable at UHS. Become familiar with how your health insurance works and how to use it. And carry your insurance and prescription drug cards with you. Inform your health insurance company that you will be at college and ask about your coverage in the Ann Arbor area. Ask whether your plan has network providers here. Consider requesting an "out-of-area waiver" for your time at university. You can contact the UHS Pharmacy (734-764-7387) regarding transferring prescriptions, if desired. If you take medications for Attention Deficit/Hyperactivity Disorder, learn how to get prescriptions at UHS on the ADHD webpage. If you take allergy shots and want to continue shots at UHS, arrange a supply of antigen from your home allergist for delivery. UHS reviews and approves all treatment programs.See Allergy Shots or call 734-764-8320. The Collegiate Recovery Program provides a supportive community where students in recovery can achieve academic success while enjoying a genuine college experience, free from alcohol and other drugs. If you are a student in recovery or are curious about recovery, please contact the program. Students with disabilities who need academic accommodations should contact the Services for Students with Disabilities Office (734-763-3000). Students wishing to receive services must register with this office. Disabilities may include chronic health or mental health conditions, learning disorders as well as visual, hearing and mobility impairments.  U-M is a smoke-free campus, and students, faculty and staff can get support for quitting. Learn more at Smoke-Free University Initative.